Star Trek U.S.S. 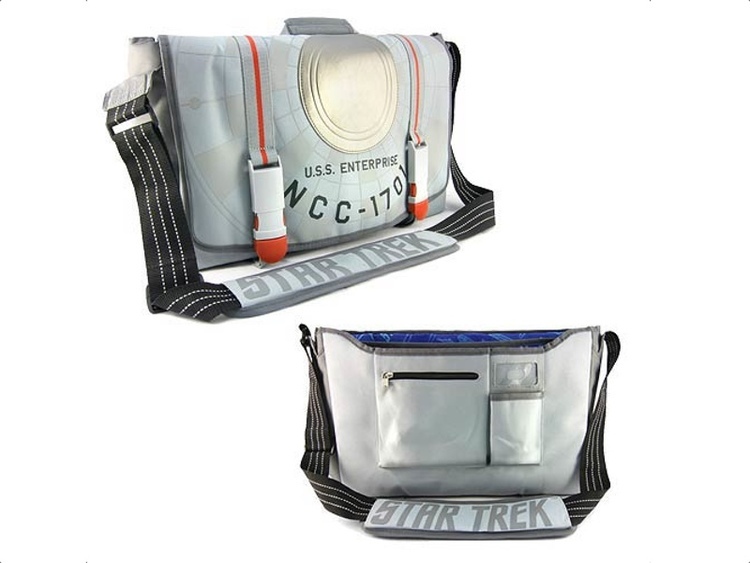 Enterprise NCC-1701 inspired bag is the one for the fans, It’s 18-inches long x 12-inches tall x 5 1/2-inches wide and includes flap pockets, zipper storage, and an inner padded pocket that can fit a laptop measuring up to 15-inches. You can buy it here for only $79.99.